The paintwork of the AC Cobra sports car was gleaming. The rubber on the wheels was as black as the night. The nose appeared to be twitching in anticipation. The instruments were still waiting for the engine to ignite and send them into spasms of delight. Despite it being September in Yorkshire, this was a perfect day to drive an open-top sports car. Dark clouds added to the drama of the day, removing any chase of blinding sunshine and dark shadows. There was a stiff breeze in the air that was just an added sound effect. The AC Cobra roared into life. The car had been hired from Classic Car Hire North based in Keighley as a birthday present. There was no specific destination, just a drive north towards Skipton before disappearing into the Yorkshire Dales. 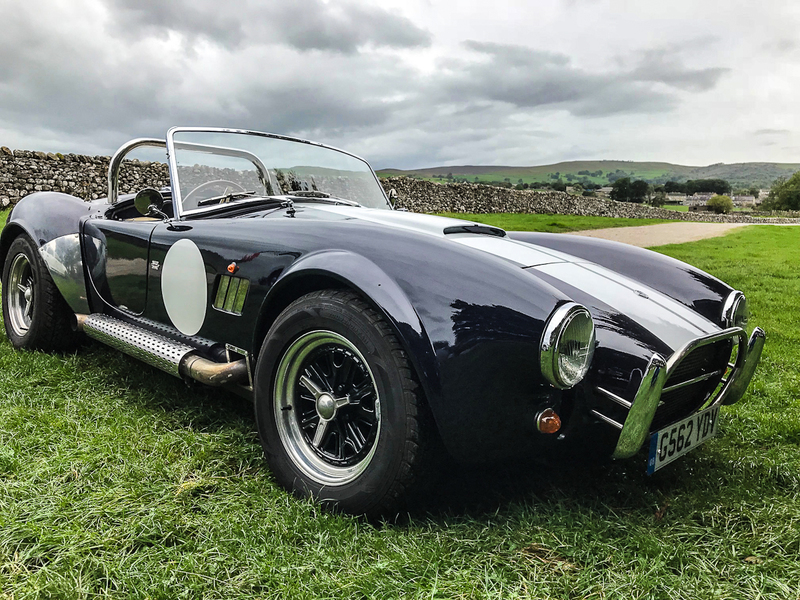 At Grassington, the AC Cobra turned back south, stopping off at Bolton Abbey on the return journey to Keighley. A simple route driving one of the world's most popular sports cars through some of the most beautiful scenery in Yorkshire. The AC Cobra sports car originated from a UK and USA collabration in the early 1960s. The car was conceived through the mind of the great American automotive designers and racer, Carroll Shelby. Although the last true AC Cobra was built in 1968, various companies have built authorised "continuation cars". 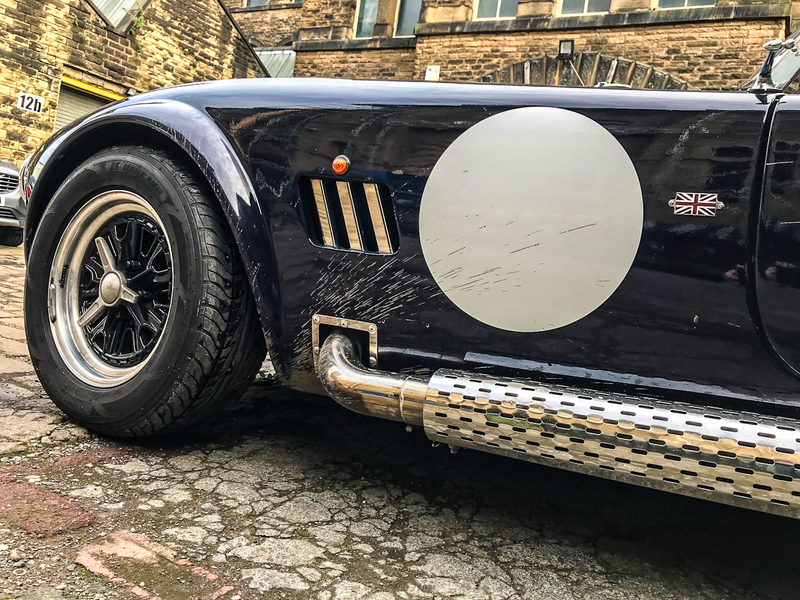 As the AC Cobra returned to the streets of Keighley, the throb of the engine appeared to be asking for more. Mud splatter from the wheels told a story of a fun time. With windblown hair and red cheeks, the driver and his passenger stepped out of the sports car. As adrenaline drained from their bodies, their heart beats started to slow. But the memory of the roar of the engine as it almost glided over those country roads would remain for a very long time.